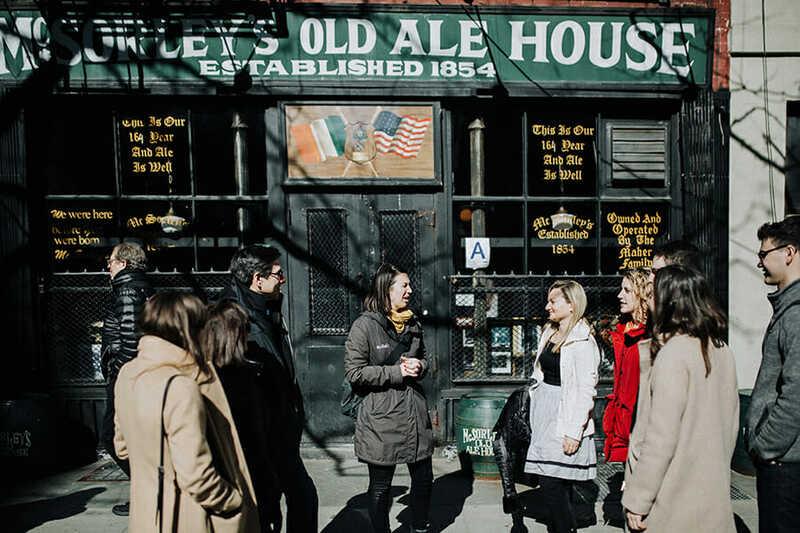 Join us on our NYC East Village Food Tour as we explore one of New York City’s hottest restaurant and craft cocktail scenes – known for its role as the birthplace of punk and artist hangouts. Hear the stories of restaurant owners and chefs as you enjoy our 4-course progressive meal. 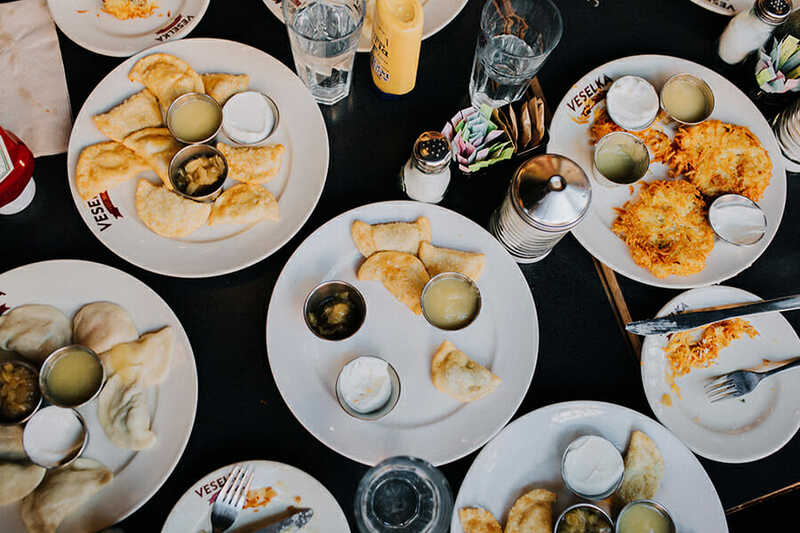 Taste a bite of Little Ukraine, and other ethnic cuisines from immigrants who have made the East Village one of the most diverse eating grounds in NYC. 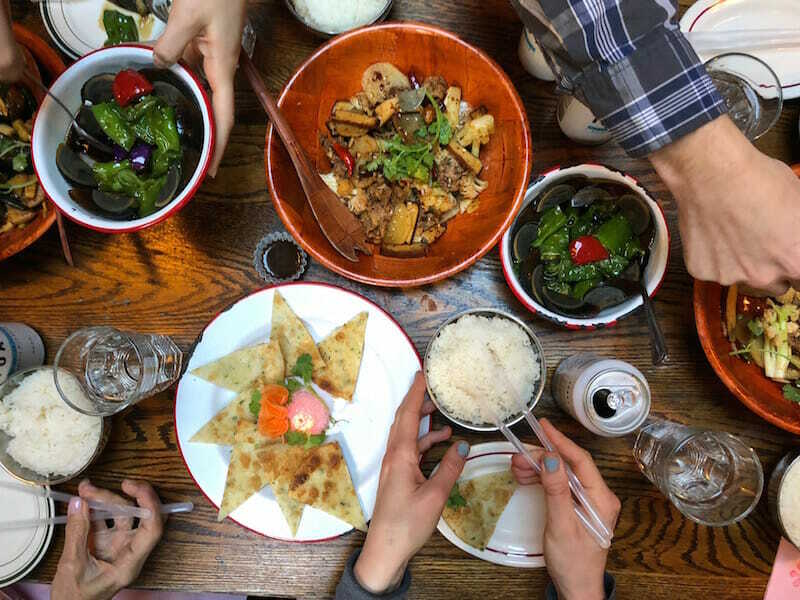 Let’s eat and drink through this cultural neighborhood! 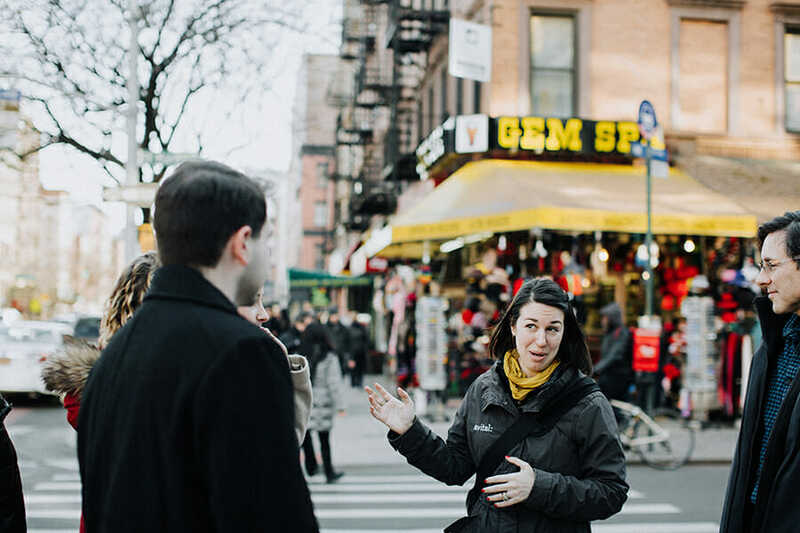 Our New York City East Village Food Tour focuses on quality over quantity. Like a great sushi meal, our goal is to have you sample the highest quality ingredients – small dishes with huge flavor. 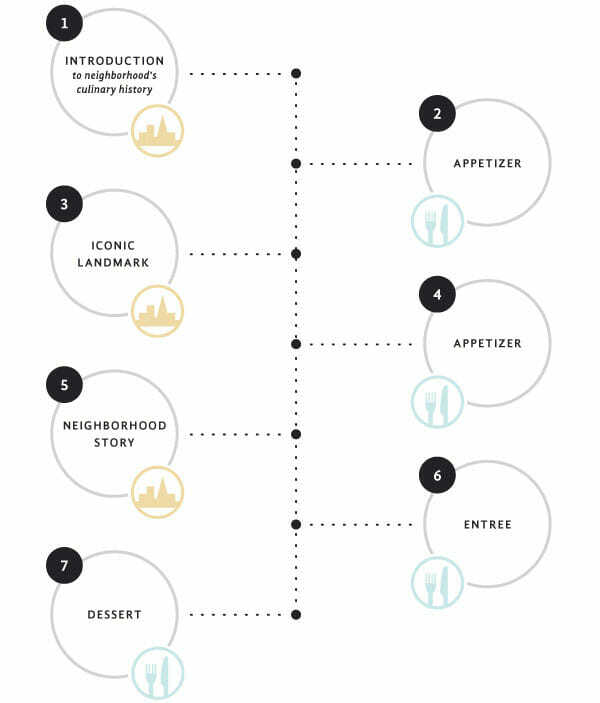 We strive to shift your perspective of the neighborhood and its food through the story of the chef who made it. Brunch mimosas paired with Vegan Pizza – take it up a knotch! Don’t see the date and time you’re looking for? 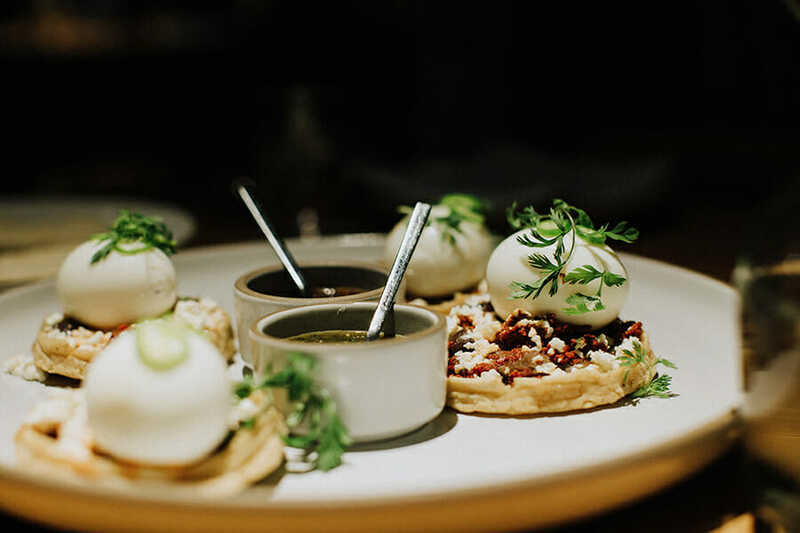 Our private food tours in New York City are perfect for corporate team building, entertaining clients, family reunions, alumni groups, mothers clubs, birthday parties, bachelorette parties, and bachelor parties. Or just get some friends together and organize a private tour! Our start location varies but is always within a 3-block walk from Tompkins Square Park in the East Village and (Located on the 4,5,6 line or M line). 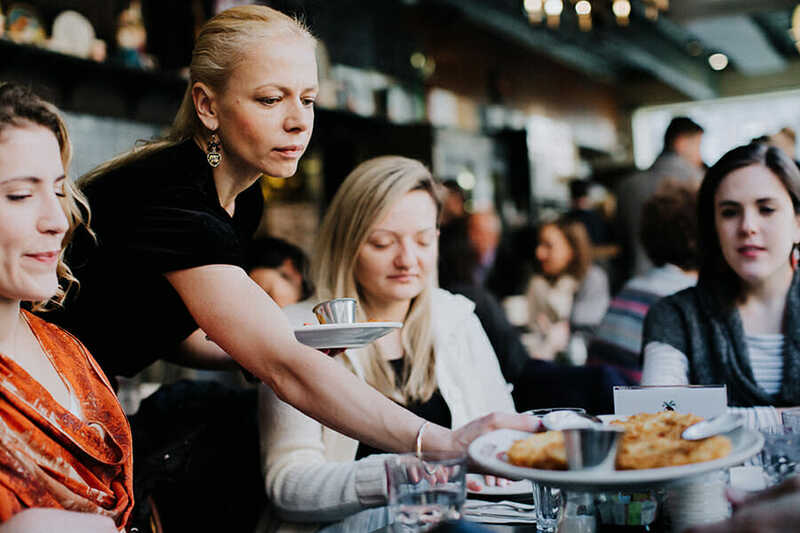 Wondering what makes the Avital New York City East Village Food Tour different from all other tours? Check out our About Us page for the answer!